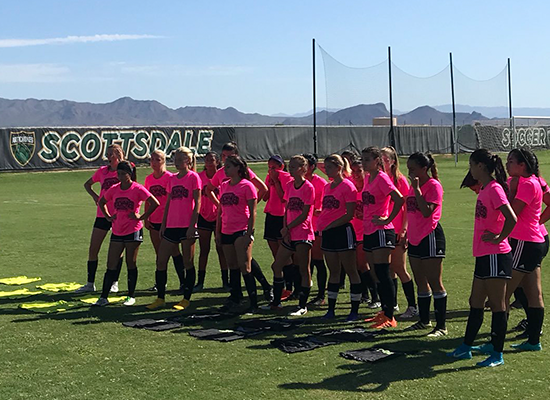 Monday, October 22nd, 2018 -- Playoffs have arrived for the Arizona Community College Athletic Conference and they kick off tonight for the women and tomorrow for the men. On women's side, Arizona Western went a perfect 20-0 and are seeded #1. Phoenix College scored a conference high 93 goals and finished as the #2 seed. Both teams earned a bye and they'll play on Wednesday. Tonight the quarterfinals start with #3 Paradise Valley hosting #6 Chandler-Gilbert and #4 Scottsdale hosting #5 Pima. Semifinals will be played on Wednesday. On the men's side, Pima finished as the #1 seed and Phoenix College as the #2 seed. The quarterfinals kick off on Tuesday with #3 Arizona Western hosting #6 Chandler-Gilbert and #4 Yavapai hosting Mesa. Semifinals will be played Thursday. Good luck to all former Arizona Soccer Association players.